This assessment is based on the study of an organization which operates its office not only in the home country but also internationally and is going to start its activities in the new market or country to expand the business all over the world. This article includes the various aspects and emerging issues which the international human resource management of the company will face in their new market and strategies and recommendations to deal with these issues and challenges. In this article we will be discussing about the biggest coffeehouse chain of United States, i.e. Starbucks. The company has already established in various countries all over the world and is expanding its business to more parts of the world. It is now going to start its business operations soon in Italy, Europe. Here we are going to discuss in detail its impact on IHRM of the company and recommendations to overcome with these impacts. Starbucks Corporation, an American company which is one of the largest coffeehouse chains in the world. It was founded in Seattle, Washington in 1971. It operates in 23,768 overall locations in the whole world which includes the countries like United States, China, Canada, Japan, South Korea and many more. Starbucks made it noticeably different in the world among different coffee venues by its taste, quality and customer satisfaction. This largest chain of coffeehouse serves hot and cold drinks, espresso, caffe-latte, various teas, whole-bean coffee, fresh juices, Frappuccino beverages. It also offers snacks such as pastries, chips and crackers, also pre-packaged food items. Starbucks evening stores make beer, appetizers, wine. Starbucks is a brand and its coffee, ice-cream bottles are also sold at various grocery stores. Starbucks opened its first store in Latin America in 2002 at Mexico City. In 2003, it started its operations in South America, Lima, Peru. In 2007, the company made it existence in Russia and in the year 2013, in Vietnam and Columbia. In 2014, it delighted its customer by opening its first store in Williamsburg, Brooklyn. Now the company has announced to start its operations in the 24th market of Europe that is in Italy. This article includes the whole study of the company’s future emerging issues of human resource management in the new market. There are various changing and emerging issues in the IHRM theory. The landscape of international business is changing with the emergence of very important market of Europe. If we talk about the social trends the nature of career is changing and impacting management of human resource at the global scale. At organizational level, we identified the changing nature of international assignments in the global organization. All these changes are likely to have impact on international human resource profession(Kramar, et. al., 2013). The next important emerging issue in the IHRM is the impact of global terrorism. There are various trends in the global terrorism which are capable of affecting the roles and function of IHR profession. These issues not only have impact on the work and recruitment of expatriate employees but also make it cumbersome for the countries to recruit future expatriate employees for the company. The locals hiring is the alternative solution in these situations. These issues not only restrict the deals and assignments with the other countries but also affect the business by minimizing the business trips in the country. Due to the global terrorism, the security at the airports has also increased which delays in the business meetings and many other issues related to business. The IHR professionals have to come with the better solutions to these issues to improve IHRM(Kramar, et. al., 2013). Another issue emerging in the IHRM theory is the changing careers. The employees in today’s scenario are not sticking to the particular organization for the long-term. They view their careers with the changing organizations which creates a challenge to the HR profession of retaining the employees in the organization. Another issue witnessed is that the generation is self-initiating their assignments with the organization which is enhancing the risk of re-entrance of home-labor market. This issue will be faced by the HR professional of the company(Kramar, et. al., 2013). The increasing rate of potential employees is also the emerging issue of the IHRM theory. This issue is in relation with the employment of females in the organization. The increasing trend of employing the female potential in the organization is the challenge for the HR managers of the organization in the developing countries(Kramar, et. al., 2013). The Starbucks coffeehouse chain is now focusing on expanding its business operations in the market of Italy, Europe. The emerging changes and issues as we discussed above will affect the business operations of Starbucks. The company has to take in consideration these changes before starting its operations in the country Italy. The human resource management for such big business firms is the key factor to maintain the position in the market. To improve the brand image and continue to serve the customers, the Starbucks should not ignore these issues(Härtel & Fujimoto, 2015). Cross-cultural differences are when various people with different religions, beliefs, ideas, and culture work together and identify differences among them and their working concept. Generally in international business we can easily see the cross-cultural differences. People with different countries across the world share their ideas, beliefs, cultures; opinions for the growth of the organization sometimes find the differences among them. The HR professionals face this diversity issues in the organization(Härtel & Fujimoto, 2015). Many M&A deals fail during interaction due to cross-border culture. These cultural differences sometimes bring a huge loss to the company. There are certain issues occur in cross-culture differences such as mistrust between people from different nations, different cultural practices, mismatch of opinions and ideas of the people working in the same organization, different methods and technique of working into an organization, personal conflict between nations and its people and many more. Such challenges are faced by the IHRM professional of the organization (Härtel & Fujimoto, 2015). Different countries of the world have different cultures in their organization. The strategy to avoid such cultural barriers is to respect and take into consideration all the ideas, beliefs and culture of different nations across the world. Some of the examples of different nations and their culture include the example of India. In India, the organizations work on paternalistic style of culture where the workers respect their superiors and work as directed by them. Whereas, if we talk about Europe, it is characterized by the coexisting of many cultures which presents similarities and considerable differences (Bach & Edwards, 2013). Starbucks Corporation may face the difficulties in Europe as there is the existence of many cultures and different cultures have different working techniques. Though Europe will not be a brand new market for Starbucks but Italy is a big country to step in and keeping the organizational growth paced up with IHRM roles and functions. Eradicating the cross-culture differences among the people of the organization will be the major role of Starbucks (Härtel & Fujimoto, 2015). In International business it is very crucial to understand the cultural behavior and different cultures of different nations around the world. Even in the same country there are various cultures changing within territories, internationalization of business makes it more important to understand and respect various cultures of different countries. The major focus of human resource team of an international business should be on relocating the employees to different jobs involving different working cultures to improve the skills of the employees and make them flexible in each working culture(Sparrow, et. al., 2016). National factors: Various national factors which generate differences in human resource management practice are hierarchy, cultural models, societal structure, and languages. 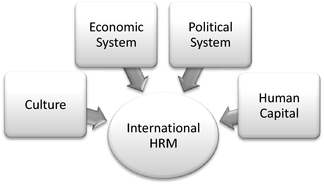 These factors differ with the different countries and they affect the standard practice of human resource management. Company factors: There are different company factors which creates divergence in the HRM practices with the change of culture. Such as, size of the companies, public versus private sector, and multinational versus local companies (Sparrow, et. al., 2016). Regional factors: Regional factors create the differences in human resource management practice among different cultures because of different people in the particular region. The different people are to be managed in the same way and their beliefs and ideas should move in the same direction (Sparrow, et. al., 2016). Temporary work and flexible work patterns: The similarities between various cultures in an organization practice are that they all use the work patterns universally acceptable (Stone, et. al., 2014). Role of work and the employer: The work of the employer is to allot the work to all the employees and direct and coordinate their work. This activity is similar in all the organization regardless of where it is situated and what cultural values they work on (Stone, et. al., 2014). Starbucks is now going to start its operations in the new market of Italy; the company has to take care of all the factors which could affect the business operations in new country and besides should use new strategies for gaining better position in the market(Stone, et. al., 2014). In a global organization there is requirement of transfer of employees from one country to another. Due to which there are huge probability that managers and leaders may not be able to accept the changes occur in an organization. For the expansion of Starbucks globally, organization prefer their most capable managers to expand their organization in the new country. As these managers are capable of managing the resources, so company prefer these employees to get located in a new country. These managers have vast knowledge about the company that is why they are required to expatriate in a new country for expansion of the company globally. International managers are seen selected on the basis of their experience related to the program of expansion of business(Nankervis, 2011). In a company like Starbucks which is located globally it becomes important for them to select their most compatible managers for expanding their business in a new country. As, Starbucks has to expand their business in country called Italy which is located in Europe. So it becomes imperative for the company to select their best suited managers for the purpose of the same. These managers are usually selected on the basis of their qualification and experience. But for selecting the international managers it is imperative for them to adapt themselves in the change environment. It is important that these managers should be able to adapt themselves in the new and changed environment. Different country has different culture and different way of working so it becomes important for these managers to adapt themselves with the changes. They must be reasonably comfortable and survive in the environment. These managers are required to work in cross cultural environment. Large multinationals company’s like Starbucks has to develop and exploit are large labor market for its working. These international organizations are required to help three managers to adapt to the net country new surrounding of working (Härtel & Fujimoto, 2010). Many multinational are experimenting the process of virtual management through which they may able to proclaim desired result. There are many myths associated to the working of international managers in a different country. Various theorists have given different views related to this issue. Such as Porter has expressed his views relating to the matter that firm may become more global in their operations but they are managers are not fully able to overcome international barriers. 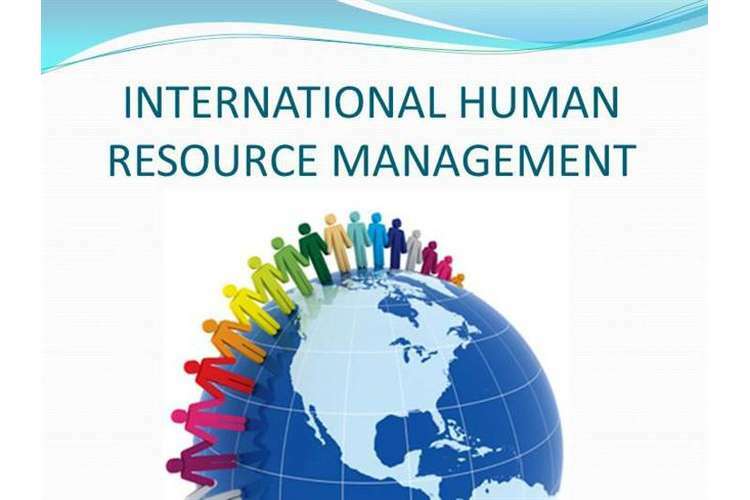 The organization used different approaches for the management of international human resources. Similarly Starbucks used various approaches for the management of their human resources. One of the approaches used by them is managing the global staffing. In the management of global staffing, company follow various points to make it consider the management of human resource (Nankervis, et. al., 2013). Such as, company requires various staffing choices for recruiting and selecting their employees and managers. Company follows various staffing process like ethnocentric staffing, polycentric staffing and regeocentric staffing. In ethnocentric staffing, selecting the most important position to be located in the new country’s subsidiaries. Many employees are selected from the home country and are transferred to the country where business is going to start. It contains certain advantages. Communication become easy and fast as there are no barriers relating to culture and language. Company can easily transfer their employees with their clear records. But sometimes there consist the problems like company may not be able to pursue the views of the local people. One more point to be considered that it become expensive to appoint expatriate employees rather than appointing the local one. There is another option available for the company i.e. appointing the local employees for the important position in the host country. These employees will able to guide the company on various national and local matters. They are more familiar with the surroundings and environment. They are also aware about the laws and political conditions. Company may also able to earn goodwill as they employ local people in the organization. Even local employees may help to reduce cost as they are less expensive and company also not required paying premium to the employees for working abroad. But it may also create certain problems like these employees are more loyal towards their country rather than on company. There is another approach to be considered i.e. re-geocentric approach. As per this approach managers are selected from different regions of the world that are connected with the host country. These employees are selected from any regions of the world which are connected with the host country and then are employed in the subsidiary company located in host country. This approach is combination of polycentric and ethnocentric approach. These employees are able to cope up with cultural boundaries as they are connected with it. There is also the cost reduction as no premium is required to be payable to the expatriate employees. They may able to work more suitably and effectively. They may able to locate their interest with both host and home country. But there are certain disadvantages to this approach. As there may be misunderstanding in the view point of host and home country. Communication and language barriers may arise. Managers selected may lack experience relating to the international matters. Even confusion may also lies relating to the objectives of the host and home country and they may not be able to balance it (Wilton, 2013). There are various emerging issues that required to be considered in managing the human resources in an organization. These issues are imperative for proper consideration relating to the growth of the organization. Issues such as impact of global terrorism possess the great impact on the IHRM profession. This not only affects the work and recruit expatriate employees but also create problems for the future expatriate also. employees avoid situation to be appointed in the risk prone countries. Due to which company has to appoint the local hires only. This issue also affects the dealings and business meetings of organization with the host country as managers and employees do not want any type of relation with the terror prone country. Even the security of airport has also increased due to which boarding delays which at last affect the crucial time of managers and employees. Many important business meetings are also reduced and delay. The work of human resources relating to this matter is to require creating a friendly and safe environment for the employees of the organization (Bratton, 2012). They also re dealings acquire people to make proper dealings with the government of host country relating to the safety measures. Another significant issue that requires proper understanding is the changing career of employees of the organization. In a current scenario, employees and managers are not sticking with the same organization for a long period of time. It creates the challenge for the human resource department to retain the employees in the organization. As they have to train new employees I n the organization which is time consuming. There is also the issue that new recruits are not available to the company as they are founding there new assignment. They are self-initiating there assignment without entering in the company. This problem can only be solved if human resource department provide proper incentives to their employees(Bratton, 2012). One of the most significant matters the employment of women in an organization. Women have become the integral part in the working of the organization. Problem face by the organization is more when working with the developing countries of the world. So women involvement in the business will be high. Terrorism is spread throughout the world so there are chances that employees may feel the change not appropriate. Similarly, employees are required to be stick with the countries(Tarique, et. al., 2016). In the above mentioned report, Starbucks an American company wants to expand its business to Italy. In this report various theory are illustrated that are required to be considered before setting up its business in the host country. Through various emerging theory it is observed that the involvement of women in the organization. Italy being a developed country would provide support to women empowerment. There would be cross cultural differences among the the Europe market but Italy would be a challenge to them. There are differences in the human resource management in different country, same is applicable in Italy. Company has to adopt different strategies and policies to get significant position in the Italian market while considering the different factors. For expanding their company, there will be requirement of international managers. These managers are selected and recruited by the depth analysis. Only those managers and leaders are appointed who would live up to the expectation of the company. These managers are appointed through approach of ethnocentric. Through this report it can be concluded that if all the factors and points are considered by international human resource management then it would able to successfully start its business in a new country like Italy. Bach, S. & Edwards, M.R. 2013;2012;, Managing human resources: human resource management in transition, 5th;Fifth;5; edn, Wiley, Chichester. Bratton, J. 2012, Human resource management: theory & practice, 5th edn, Palgrave Macmillan, Basingstoke. Buckley, M.R., Wheeler, A.R. & Halbesleben, J.R.B. 2016, Research in personnel and human resources management, Emerald Publishing, United Kingdom. Härtel, C.E.J. & Fujimoto, Y. 2010, Human resource management, 2nd edn, Pearson Australia, Frenchs Forest, N.S.W. Härtel, C.E.J. & Fujimoto, Y. 2015, Human resource management, 3rd edn, Pearson Australia, Frenchs Forest, NSW. Nankervis, A.R. 2011, Human resource management: strategy and practice, 7th edn, Cengage Learning, South Melbourne, Vic. Nankervis, A.R., Baird, M., Coffey, J. & Shields, J. 2013, Human resource management: strategy and practice, 8th edn, Cengage Learning Australia, South Melbourne, Vic. Sparrow, P., Brewster, C. & Ch?ng, C. 2016, Globalizing human resource management,Second edn, Routledge, New York. Stone, R.J. & Australian Human Resources Institute 2014, Human resource management,8th edn, John Wiley and Sons Australia, Milton, Qld.